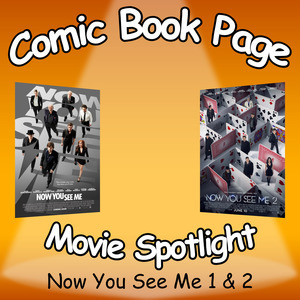 John and Kay have a spoiler filled discussion about Now You See Me from 2013 and the sequel Now You See Me 2 from 2016. This entry was posted in Movie, Podcast, Podcasts, PopArtsPlace, Review and tagged Now You See Me on August 31, 2017 by Kay. 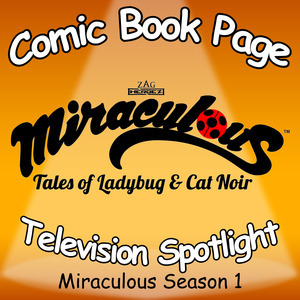 John and Kay have a spoiler filled discussion the Miraculous: Tales of Ladybug and Cat Noir television series focusing mainly on the two parter revealing the origin of Ladybug and Cat Noir. This entry was posted in Podcast, Podcasts, PopArtsPlace, Review, Television and tagged Cat noir, Ladybug, Mircaulous on August 29, 2017 by Kay. 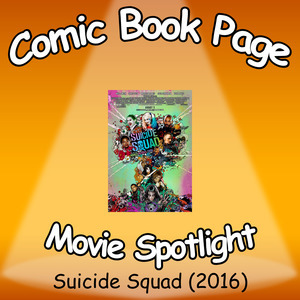 John, of ComicBookPage, and Kay, of PopArtsPlace, have a spoilers filled discussion about the Suicide Squad movie. This entry was posted in Podcast, Podcasts, PopArtsPlace, Review, Television and tagged DC, DC Comics, DC Entertainment, Suicide Squad on August 24, 2017 by Kay. 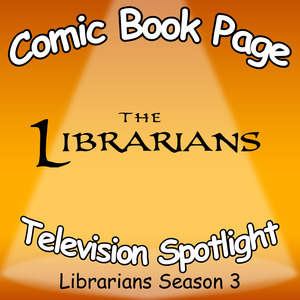 John Mayo, of ComicBookPage, and Kay Kellam, of PopArtsPlace, have a spoiler filled discuss about the third season of The Librarians. Podcasts have previously been posted on Season 1 and Season 2 of The Librarians. This entry was posted in Podcast, Podcasts, PopArtsPlace, Review, Television and tagged @ChristianKane01, @johnharlankim, @LibrariansTNT, @LindyBooth, @RebeccaARomijn, @tntdrama, Bob Newhart, Boston Legal, Brains, Cassandra Cillian, Charlene, Christian Kane, Dulaque, Eve Baird, Ezekiel Jones, Fabric of Time, Flynn Carsen, Galahad, Jake Stone, Jane Curtain, Jenkins, Jerry O'Connell, John Harlan Kim, John Kim, John Larroquette, Judson, Labyrinth, Leverage, Librarians, Lindy Booth, Matt Frewer, Minotaur, Night Court, Noah Wyle, Rebecca A. Romijn, Rebecca Romijn, Sliders, The Librarians, Thief, TNT on August 22, 2017 by Kay.